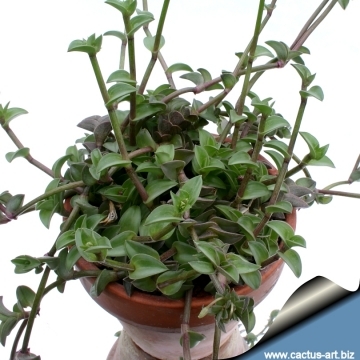 (During the resting phase) It is a succulent plant with beautiful boat-like formation of grey-green to viney leaves. It needs a little sun to show it's true beauty. 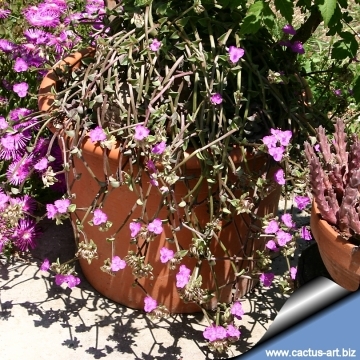 It will have Lav/pink flowers and does well in a small basket. 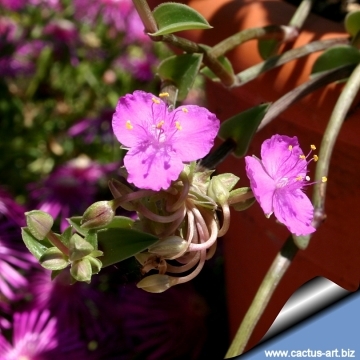 Description: Tradescantia navicularis (a.k.a. 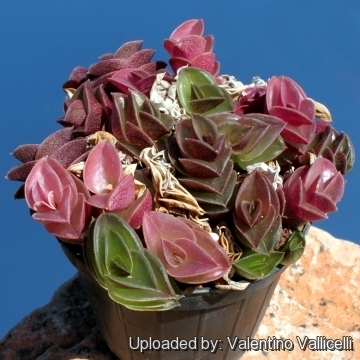 Callisia navicularis) is a miniature trailing, perennial, evergreen succulent related to wandering jew. This species is quite variable (depending on clones and growing conditions). Stems: Creeping tufted or trailing and rooting at nodes. 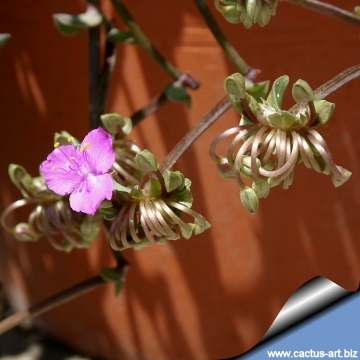 This plant produces two different but intergrading type of stems, bulbil-like short shoots with tight imbricate leaves and stolons with long internode which produce short shoots and inflorescences. Leaves: Crowded or distant 2-3 cm long, 1-2 cm wide. Slightly to very succulent, distichous, lanceolate to broadly ovate, boat-like, canaliculate, very concave and somewhat falcate bronzy-green above, dark purple striated beneath, usually glabrous except along a line ascending from the axil of each leaf. Margins hair-fringed. Tips acute. Flowers: Inconspicuous, in terminal inflorescences, closely subtended by the uppermost leaf, lilac to bright magenta. They are polysymmetric and comprised of three sepals, three petals, six stamens in two whorls of three, and three connate carpels. Filaments bearded. Blooming season: Summer, the flowers open early in the morning and close in the afternoon and last only one day (hence the common name ”day flowers”). The buds opening in succession 3 to 5 days apart. Cultivation and Propagation: It grows well in bright indirect light or in half sun, Due to lack of sunlight the plant becomes lanky & unhealthy. 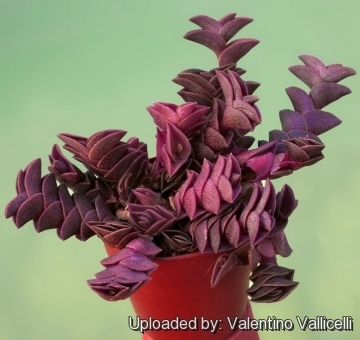 The same plant grown in different light condition may look completely different!!! 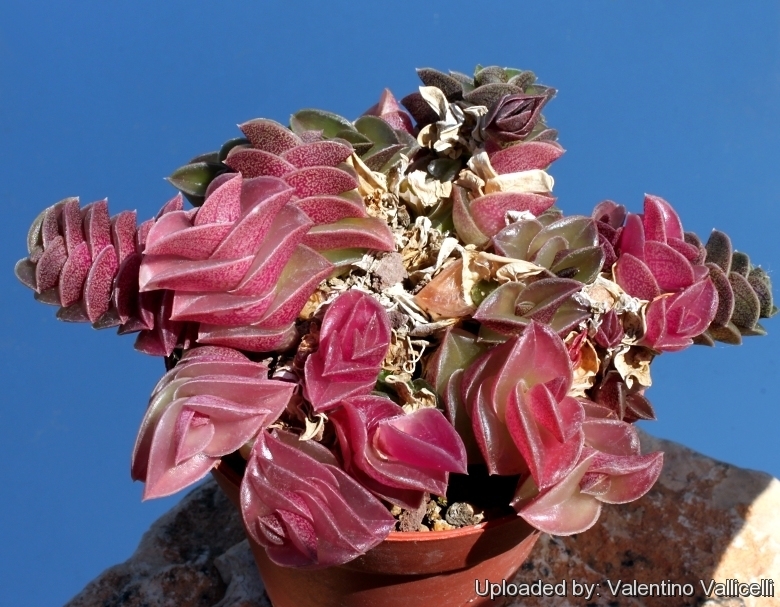 Need coarse succulents soil with good drainage. Water regularly during the growing season keep rather dry in winter. 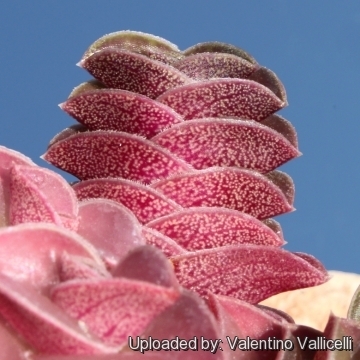 Propagation: Stem cuttings, division, small plants form at the nodes.